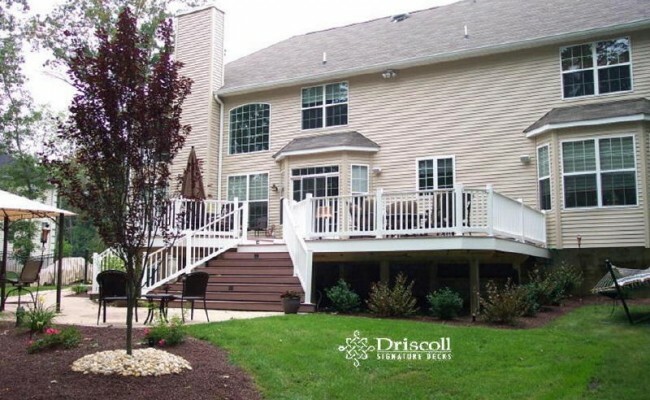 Info:This Driscoll Solution Story in Spring Lake includes a tri-Level composite deck, with a walkout level to driveway stairs, a 12' step-down octagon designed off an angle step of the bumpout , and a main deck with a built-in spa, we used composite decking boards in harribone patterns, lovo accent lighting on the level changes and stairs PLUS a extra large paverstone patio with walkways to the driveway and side entrance. 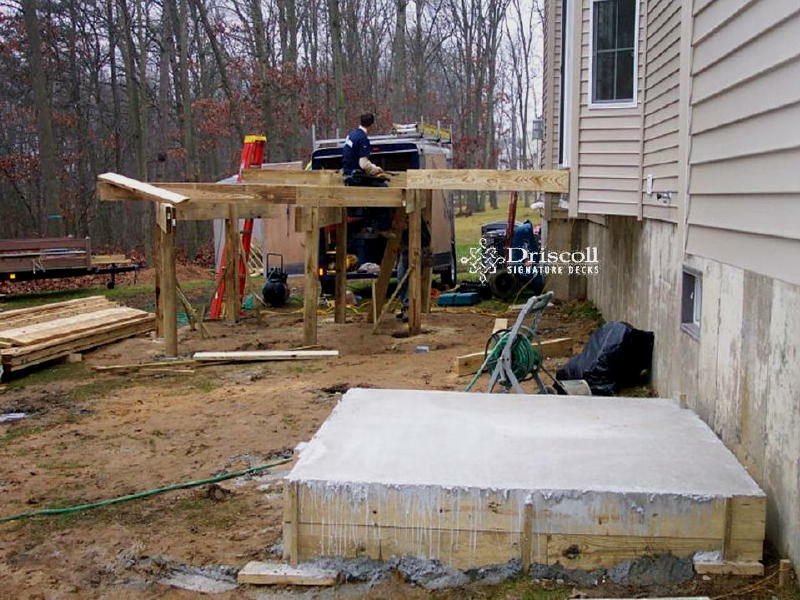 As with many of our customers, this customers was left with a lovely setting in their backyard, but could only access it by those ‘beautiful’ builder’s steps to nowhere. 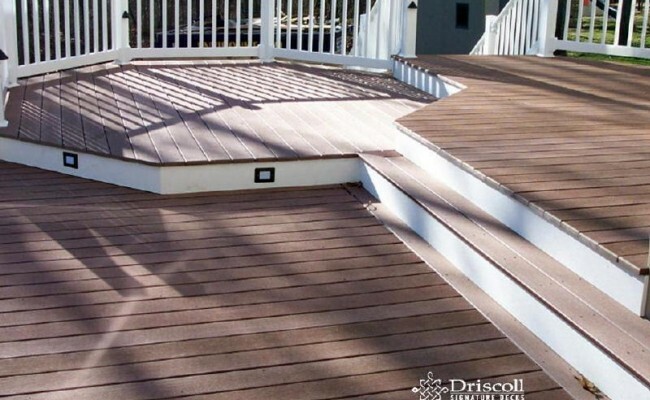 You will find quality deck designs, consultation and excellent craftsmanship when you search for Driscoll Signature Decks at Deck, Decks, Deck Builder, Deck Contractor, Decks NJ, Deck Builder NJ, Deck Contractor NJ, Spring Lake Decks, Decks Spring Lake NJ, Deck Spring Lake, Deck Spring Lake NJ, Spring Lake Decks, Spring Lake NJ Decks, Spring Lake Deck, Spring Lake NJ Deck, Deck Contractor Spring Lake, Deck Contractor Spring Lake NJ, Spring Lake Deck Contractor, Deck Builder Spring Lake, Deck Builder Spring Lake NJ, Spring Lake Deck Builder, Spring Lake NJ Deck Builder, Spring Lake NJ Deck Contractor. Thankfully, Driscoll had a few ideas to offer them. 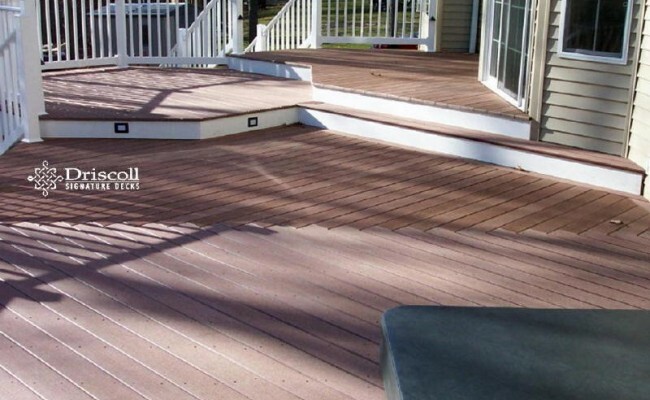 We started by using the 45 degree angle on the left side of their 11′ slider bumpout along the houseline for a walk-out level deck, then a step along that angle into the octagon dining area and then down one more step to the main deck, with the spa..! 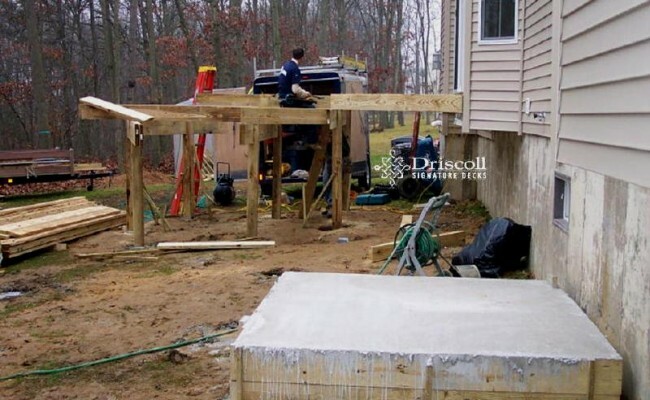 But, as we started framing-up this 3-level Driscoll Signature Deck, the first we will need is a concrete slab to support that built-in spa! I sure hope we got the height of the slab right..? 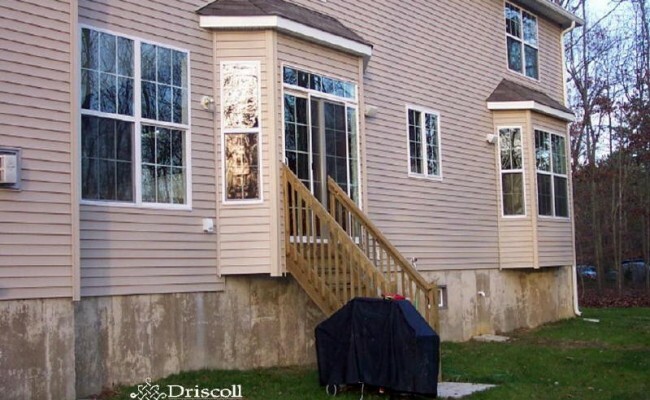 Note the step-out level at the 6′ slider, with a side stairs for easy access to the driveway. 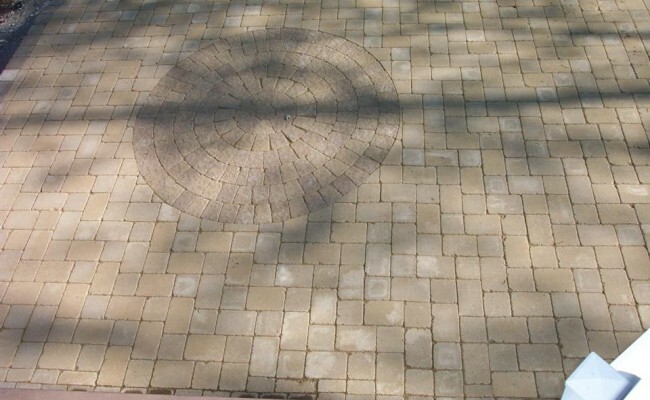 Then the step-down to the octagon level and/or one more step-down to the main deck with the spa (covered); and as it states above, this entire design was based on that 45 degree angle of the bumpout. 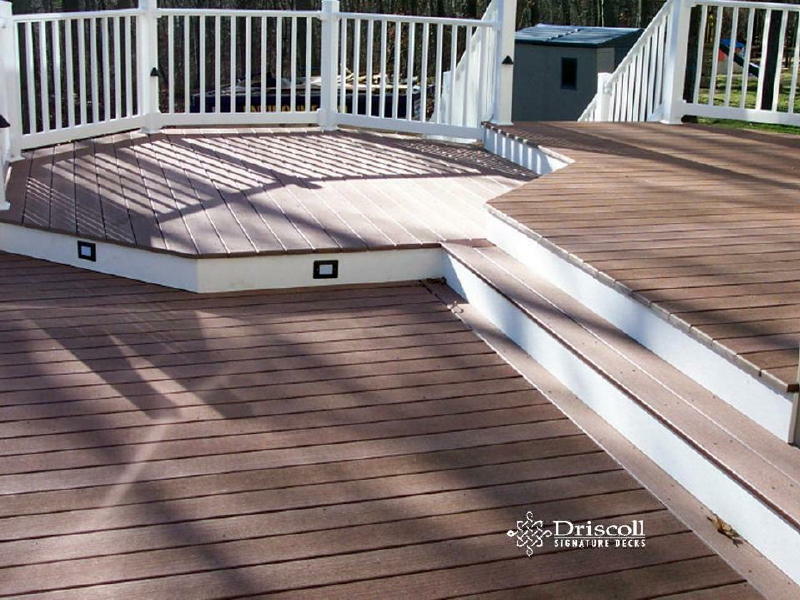 Don’t you just love it when a great plan gets executed – the Driscoll Signature Decks – way! 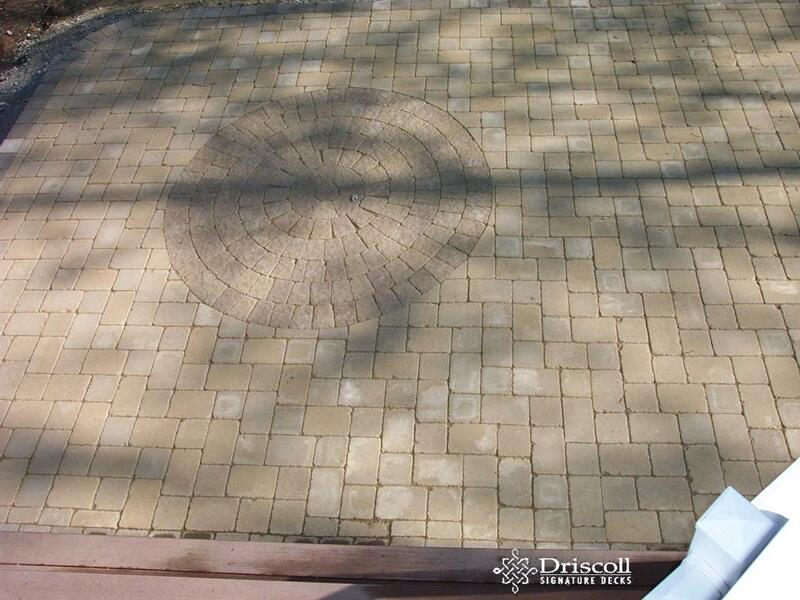 ..We built an 850 square foot paverstone patio, all around their new 3-level Driscoll Deck with, as you can see, circles at the foot of the stairs like this one above. 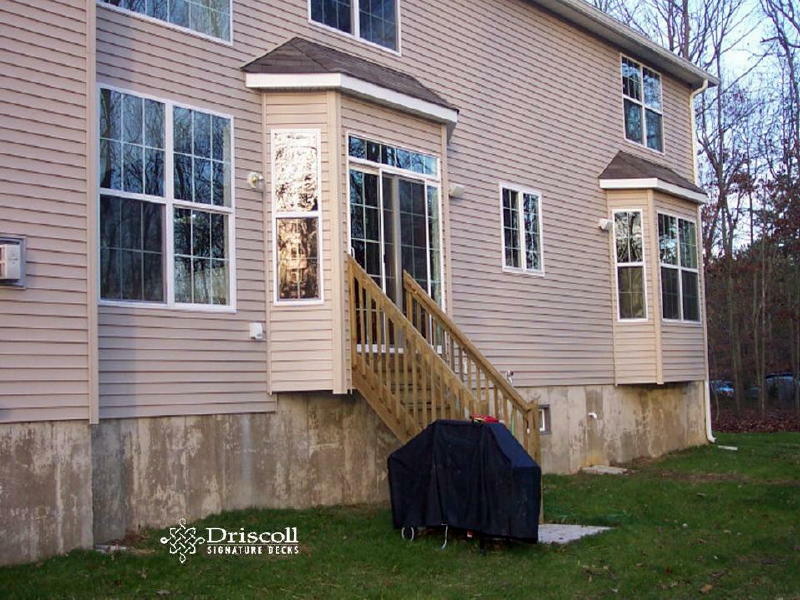 And, then everything really came together for this Classic Driscoll Outdoor Entertainment Design. 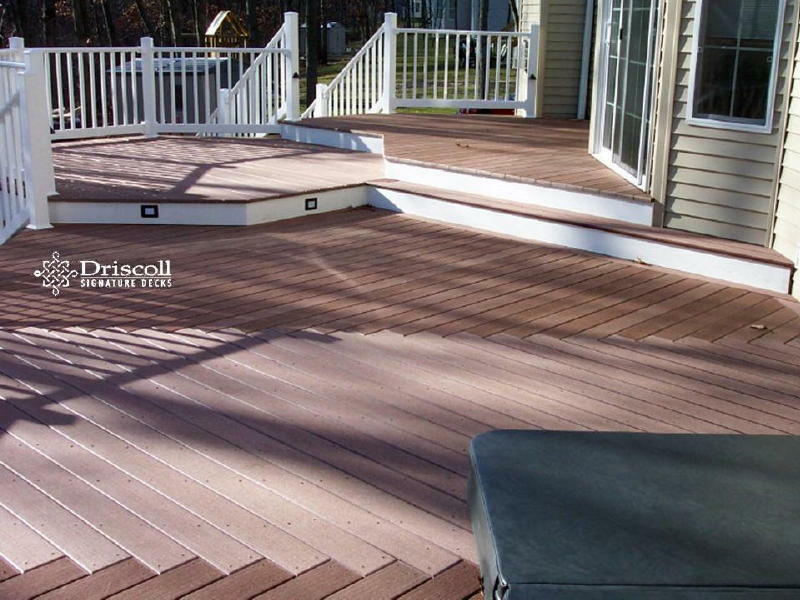 So let’s recap shall we: This is a 3-level 760 sf custom composite deck with built-in spa and two stairs, 1.) 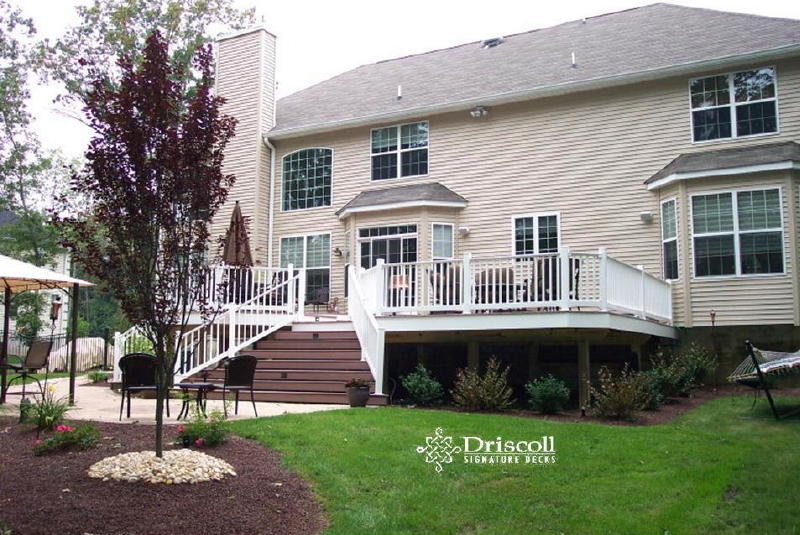 straight 4′ stairs with accent lights in the risers and 2.) 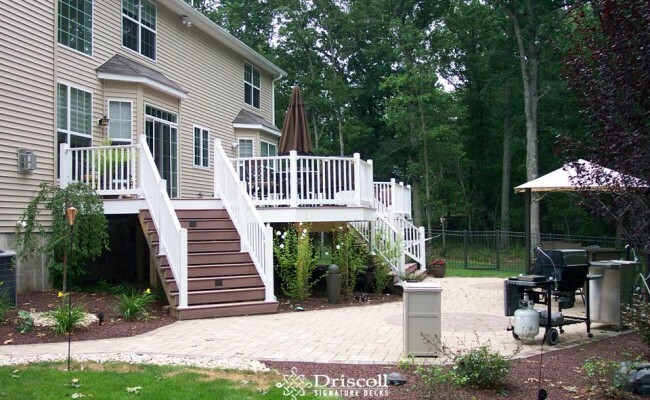 a 6′ to 18′ flared stairs to the main paverstone patio, PLUS an 850 sf paverstone patio with a nice grill and canopy, as you can see. 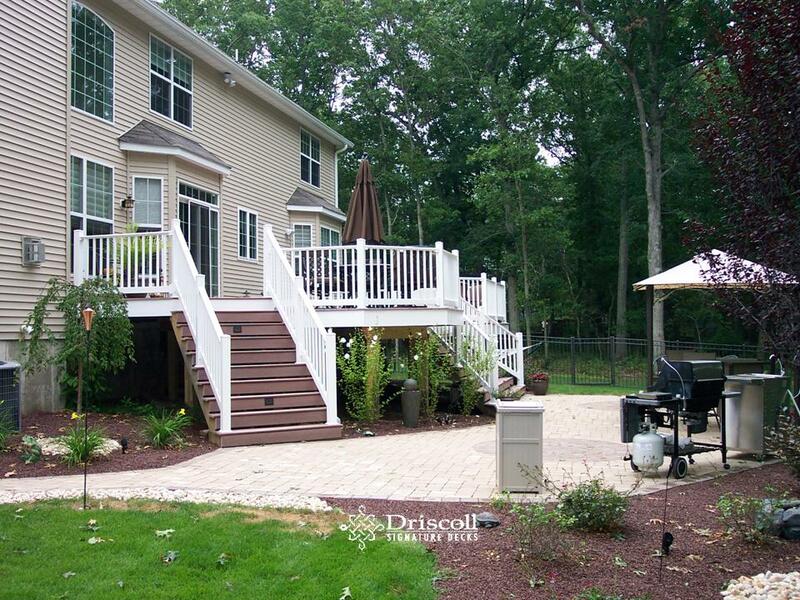 Now, this is what we call a Driscoll Signature Deck, and of course a Driscoll Signature Paver Patio, too boot! And now as you can see, those original builder steps to nowhere are but a distant ‘bad memory’. Enjoy!